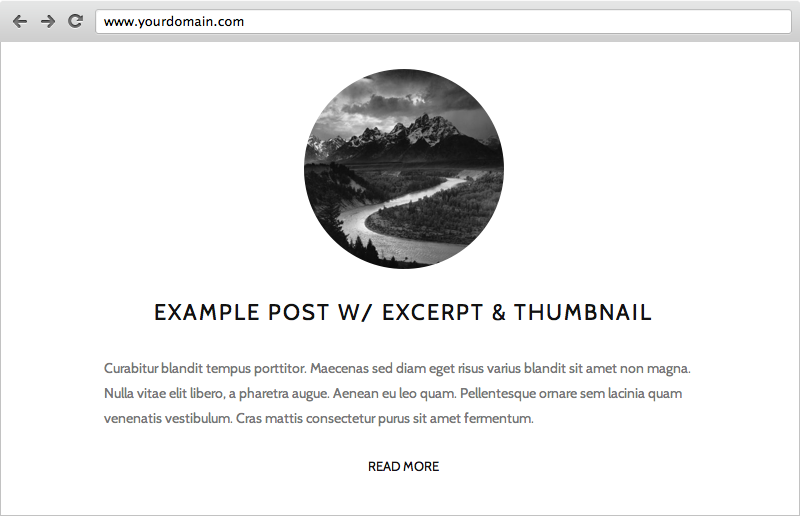 Native is a clean template with roomy spacing designed to showcase media rich blog posts. It will format itself based on how you work and what you post. Native includes two preset styles, Light & Dark. These are meant to be good starting points for you to begin customizing the colors and fonts the way you want. Native lets you control the widths of major website sections like the Site, Blog Content and Page Content areas. You also get control over certain sections of padding. Independently control the Site width, Blog Content width and Page Content width with a simple slide or drag. 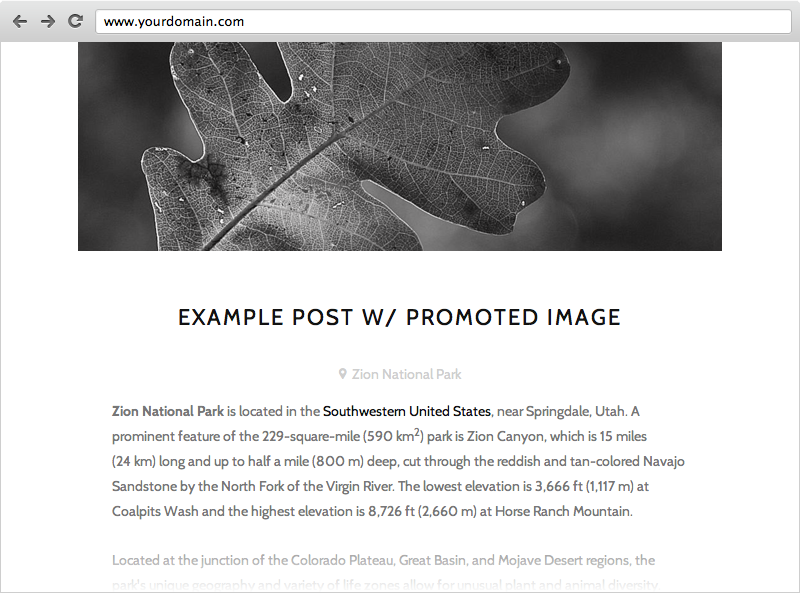 If the very first block in your post is not floated or added to a column & contains one of the following: Image, Gallery, Video or Quote... it will 'promote' the element above the title and allow it to use the full site width. If you use an excerpt & assign a thumbnail image to the post, Native will automatically put the thumbnail in a circle and center it above the title. It's a great feature that can dramatically change the look of your blog just by including a new behavior in your workflow. On smaller screen sizes, the template responds to the lower resolution and / or smaller canvas with adjusted sizes, heights and layouts so it just fits.